Moving slowly, i reached day 19 of 100 Days of Makeup. 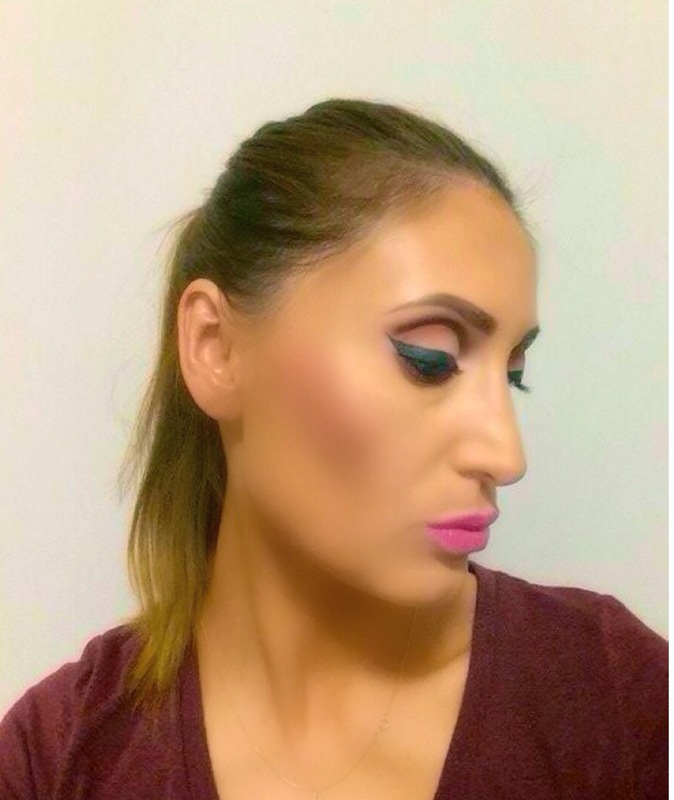 I go between Mac Cork eyeshadow & Mac Brown Script when i do a ”natural look”, this is as natural i can go…. For this look i started with eyes, don’t I always??? MAC Prolongwear Concealer in NC25 to prep my eyes. For today’s natural look i went for MAC Brown Script in the crease & under lower lashes. MAC Blac Type eyeshadow on the lid. MAC Smolder pencil on top & bottom waterline. COLLECTION Extreme felt tip eyeliner in black. CLINIQUE Lash Power Mascara in black. MAC Dipdown fluidline for eyebrows & Mac Clear eyebrow gel to set. VICHY Dermablend foundation, new for me which is a full coverage foundation. I used MAC Strobe cream under my foundation to get a bit of ”glow”. CLINIQUE Pop lips in wow, one of my fave out of 12 shades. Day 17 of 100 Days of Makeup. For today’s look i wanted to try some pigment on the inner corner of the eye & here’s the result. As you know by now i always start with the eyes first. I preped my eyes with MAC prolongwear concealer, NC25. 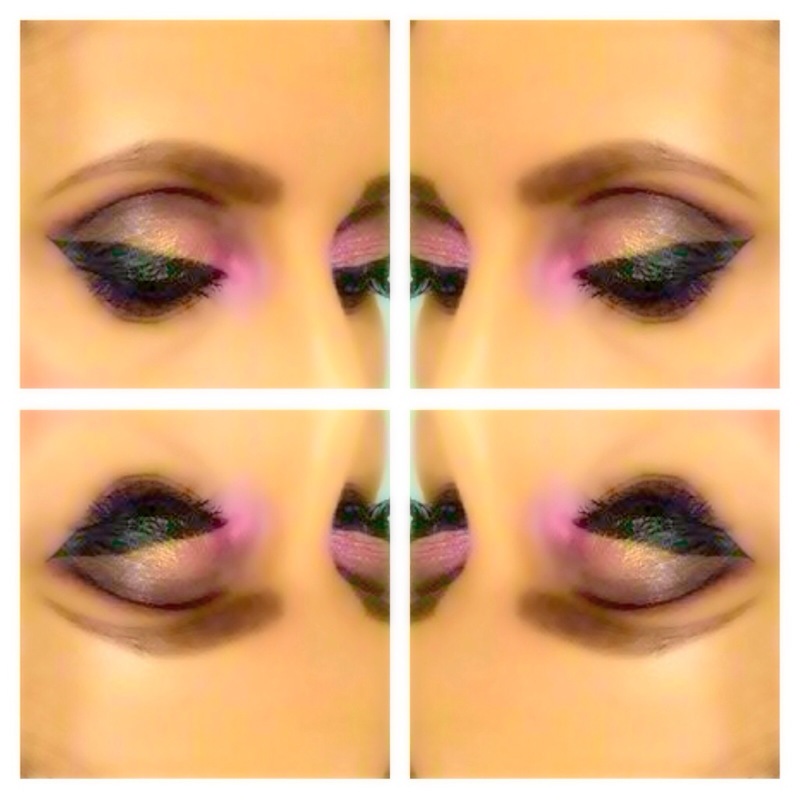 In the crease of the eye & outter corner i applied Folie eyeshadow by MAC with my 217 blending brush, also by MAC. On the lid i used INGLOT AMC shine no.7 eyeshadow which is the golden one. For the pop of colour i went for MAC fuchsia pigment & to apply i used a flat synthetic brush & sprayed it with a little MAC fix+ . To finish the look i used MAC smolder pencil on the waterline (top & bottom), COLLECTION extreme black eyeliner & CLINIQUE power lash mascara in black. For my usual eyebrows routine, see previous posts. 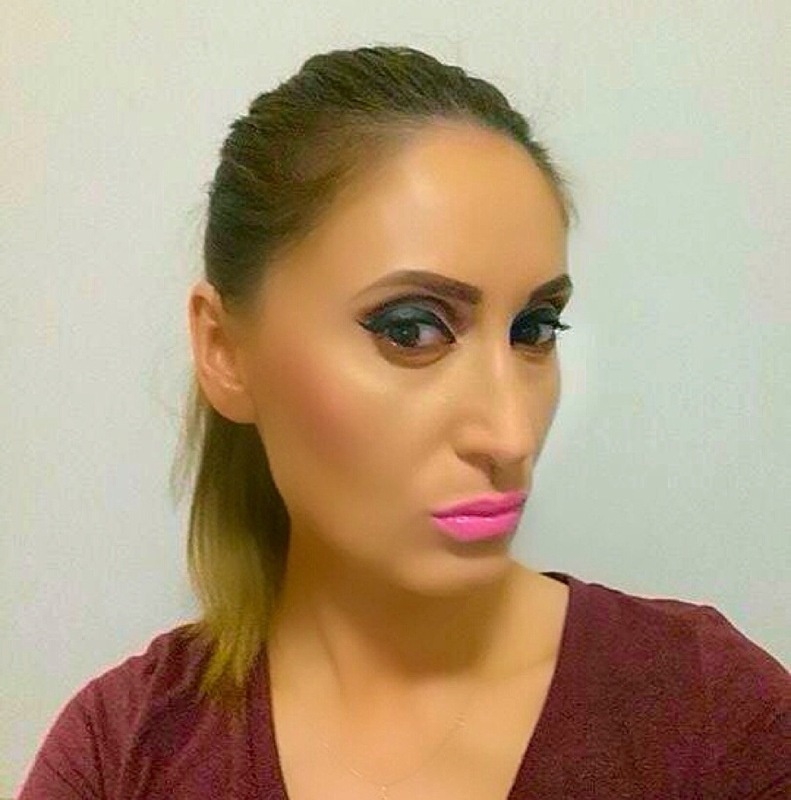 I paired this look with candy yum yum lipstick by MAC. 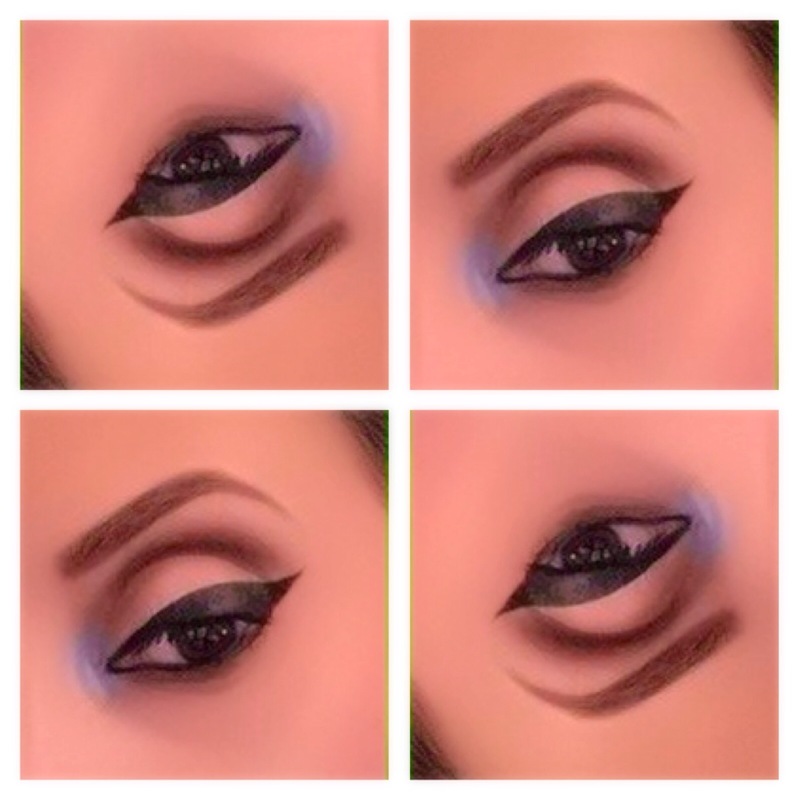 Bold eyeliner with a creamy eyeshadow base. A very easy look to create & so many choices of creamy eyeshadows base. I discovered the Max Factor creamy eyeshadows and I had to try them. I got the Crystal one which is a white cream with a little bit of shimmer. There are 6 shades to pick from: white, bronze, copper, light liliac, black & a light green. I will definetely purchase the black, copper & lilac. Next I did my eyeliner with my favorite Collection Extreme Black felt tip. I did a bold eyeliner and wing it out just a little bit. Mac Smolder pencil on bottom & top waterline. Mac Cork eyeshadow under the bottom lash line. Clinique Mascara in Power lash black. Usual Eyebrows using Clinique superfine brow pencil, shade 03 Deep Brown & set it with Mac brow gel in clear. Sleek Blush in Cream Rose.